Home/Blog, News/Are You Getting Enough Folate in your Diet? Folate, also known vitamin B9, is one of many essential vitamins needed for copying and synthesizing DNA, producing new cells, and supporting nerve and immune functions. 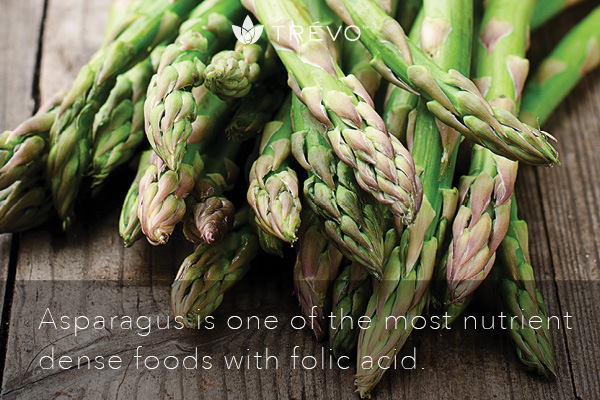 As a water-soluble B vitamin, it’s naturally present in some foods, added to others, and in Trѐvo in the form of folic acid. 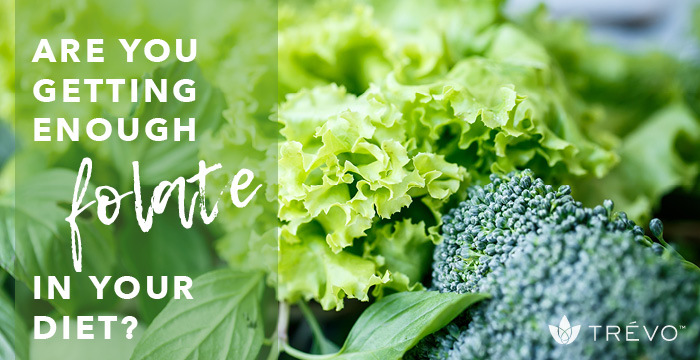 Studies show that a diet high in folate-rich foods can help support cellular health, heart health, and cognitive health as well as a number of other valuable health benefits. Folic acid also encourages normal fetal development. In fact, folic acid, calcium, and iron have long been considered the trinity of prenatal wellness. 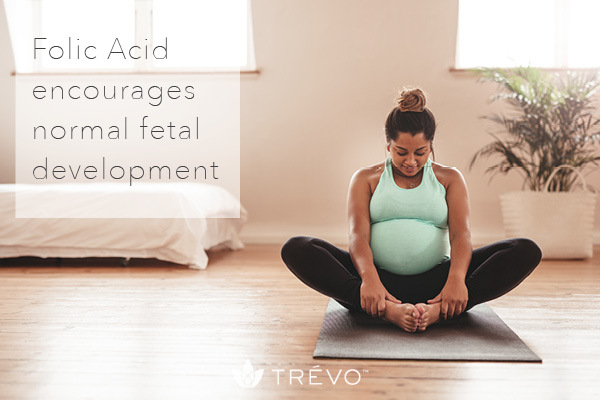 Most health professionals agree that adults need about 400 micrograms daily, which is exactly the amount of folic acid present in each delicious one-ounce serving of Trѐvo. So, where does folate come from? Spinach, collard greens, kale, turnip greens and romaine lettuce are all known to provide an immediate boost in folic acid. In fact, one large plate of these delicious leafy greens will fulfill nearly all of your daily folate needs. That said, very few people actually sit down to a huge plate of spinach every day. •	Asparagus – Out of the entire vegetable kingdom, asparagus is one of the most nutrient dense foods with folic acid. •	Broccoli – Broccoli is one of the best detox foods you can eat, and it’s a rich source of folic acid. •	Brussels sprouts – There is no denying that Brussels sprouts are one of the best foods for folic acid. Brussels sprouts are also high in vitamin C, vitamin K, vitamin A, manganese, and potassium. •	Cauliflower – This cruciferous vegetable is typically regarded as one of the best vitamin C foods, but it’s also a great source of folic acid. •	Citrus fruits – Many fruits contain folic acid, and citrus fruits rank the highest. Oranges are an especially rich source of folic acid. 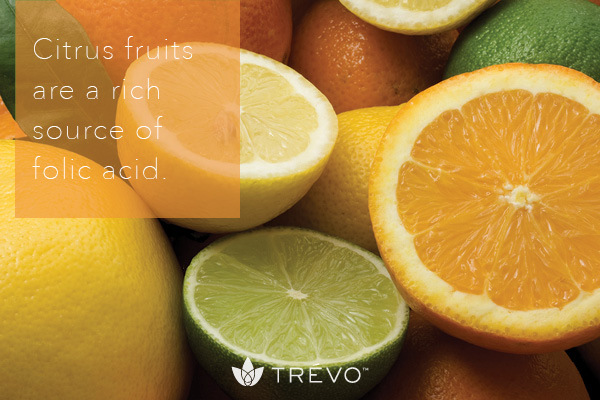 Other folate-rich fruits included in Trѐvo are papaya, grapefruit, and raspberries. There you have it. 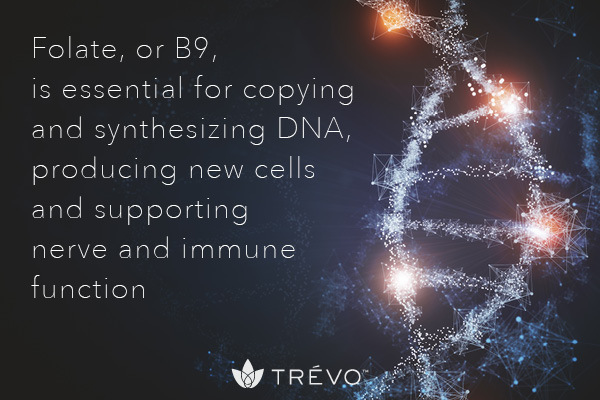 In addition to its cornucopia of health-giving nutrients for your whole body, Trѐvo is also a rich and very bioavailable source for your body’s daily folate needs.